”O’look this is a boy! And so cute” says the nurse as she hands over the newly born to the other lady. “Let me see.Really! Wow! So beautiful!” says the other lady in that small hospital room. Amber is so tired, tries to hold the baby but cannot open her eyes and falls sleep. Next morning Amber opens her eyes, turns her head and smiles to see her baby boy. She cannot describe the divine emotion of motherhood, an incomparable feeling, the most beautiful and the strongest bond. She holds her son, kisses him and looks at his softly closed eyes for a very long time. Amber is a Psychology student and she understands pretty well the deprivation of motherly love.She tries her best to be with her child at every step and to teach him the positive values of life. She moves to USA with her husband and son to continue her further studies. In a Monday morning, Amber stands close to a big glass window in the student flat and looks at the white snow falling gently and steadily from the sky and nesting on the lawn, on the tree branches and on the parked cars.This is their first snow. She looks around and notice how the people are walking through the snow to their destinations. Hm’ that is easy, she thinks. So Amber bundles her son with a crew neck, navy, long-sleeved color sweater, a graphite-grey heavy thermal jacket, gloves, woolen hat. Amber decides to drop her son at the school before she leaves to her class. Well she has no idea that one can not walk through a three-foot of snow with regular shoes. After fifteen minutes of walking, Amber stops, looks at her snow filled shoes and glances at her son. He lifts his eyes and says,”Mom, my feet are wet, cold and numb, so can we go back to the flat to change”. Amber moves towards a cement bench, close to the road but that one was blanketed with the snow. She takes out the wet shoes, the socks and wraps her own gloves around her son’s feet to keep them dry. “Now we are ready to walk back.” She smiles and holds her son’s small hand. Around eight fifteen they arrive at the elementary school. The teacher insists that Amber’s son is not ready to start the kindergarten. Amber can not agree with her. She has taught her son in every evening the alphabets, the timetables and even reading the alphabets. She does not want him to go back to a lower level. So Amber misses her first day in the class but makes sure that her son gets the admission in the right class. ‘Wow! I did not know that I can argue so much with a stranger and that is very strange!” She thinks. Gradually her son joins the cub scout, little league baseball team and then slowly moves into different school projects making Amber proud at each step. Time passes. Amber is blessed with one more daughter. Amber gives more attention to her because she was a premature baby. The baby has to stay in the hospital for three months in the tiny incubator. Amber visits regularly to the ward, sits on a small stool close to the incubator and holds her daughter’s tiny fingers through the small holes in the incubator. Amber wants to assure her baby that mom will be there whenever she needs and she will never abandon her at any cost. Amber decides to be a stay at home mother to take care of her. She sews pretty cotton and silk dresses for her, makes yellow, purple, and white play-dough, colors with different crayons, plays with the Aladdin castle and even combs the long wet hair of the mermaid in the bath-tub. Sometimes it is so much fun with her daughter, that Amber forgets that she is a grown up lady. It is real hard when Amber decide to send her daughter to a school. It is a warm day in May, just after her daughter turns five, Amber drives her to a best school in the city. She makes sure that the class size is small so that the teacher can give more attention to each student. Amber pulls her daughter closer and says, ” Give me a big hug, listen to the teacher, play gently with others, eat your lunch, enjoy and I will be back in a few hours to pick you.” But she does not leave. She stands at the door until her daughter goes inside to the class room. The big wooden door closes from inside. Amber runs out side, opens the car door and slid into the seat and stays there for a while. The pangs of separation is too much to handle so she leans against the car seat, bends her head and cries softly. She has more fun with her kids in building sand castles, reading stories, preparing Science and History projects together, driving them to the tennis class, to the debate and music competitions and even trying the fun of making snowman and tubing in the snow. Amber loves to see the beautiful smiles on her children’s face. 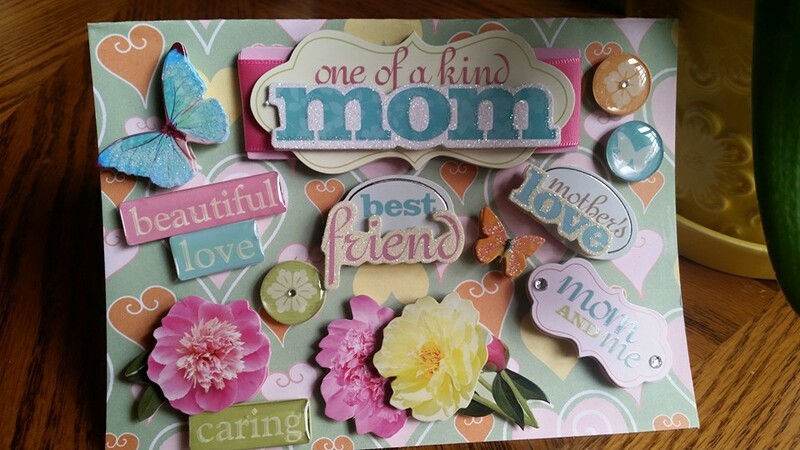 They make very pretty hand made cards with different pictures for her birthday, Mother’s day, Valentines day and Christmas. Amber loves the cards so much that the front and the sides of the white refrigerator is full with her children’s unique creations.The top shelves of the big cherry wood book-case in her living room has been decorated nicely with the children’s various awards in different sizes in gold and silver color. She loves her journey of motherhood. “Sorry mom. My phone died. Tomorrow I will come early. Ok. Good night.” He walks into his room, closes the door and talks to his friend in the phone. Amber feels sad. She lays on the bed and thinks why the kids change as they grow up. Suddenly their circle consists of their own friends and so little place for the parents. Do they love us? And they argue so much!May be this is life of a mother. I wish they spend more time with me or talk to me or just stay around. May be they are acting like the other teenagers. She has high hope. Amber’s daughter finishes college and starts her career. She talks, listens and devotes special time to Amber.Some-days she sits with Amber at the spinet and plays a Chopin prelude, or moonlight Sonata very softly. Amber rests her right cheek on the palm of her hand, head tilts slightly and enjoys each moment of the music. Today is mother’s Day. In the air there are feeling of happiness, love and excitement. All the front drive of homes are full of cars and trucks. Children are visiting their parents and grand parents. Amber returns from her morning RIPPED class. She is tired but happy. She parks her car and opens the side door to the enter into the house. She looks up to see the beautiful pink and lilac balloons with happy mothers day sign waving their heads and a big white card decorated with small pink and yellow flowers and a blue butterfly sits nicely close to a patterned glass candle in orchid velvet. As she bends down to smell the candle her daughter and son step in from behind, hugs her and say “Happy Mother’s Day!” Her expression softens into pleasure. She turns back,with a big smile and hugs both her children.